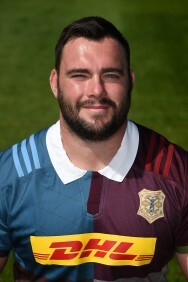 James Rosa Associates are delighted to confirm that we have renewed our sponsorship of the Harlequins’ tighthead prop for a third season. Collier made his senior Harlequins debut in 2011 during the special LV= Cup match against Wasps in Abu Dhabi and has played for the club on more than 50 occasions since. Will attended Cranleigh School in Surrey where he captained the rugby side, before developing through the Harlequins Academy. During this time, he represented England at Under 16 and 18 level, before helping the England Under 20s to the IRB Junior World Cup final in 2011. During an impressive 2013/14 season, Collier was named in the England Saxons squad, but missed out on the fixtures against Ireland and Scotland due to injury. Collier was however named in England’s squad to play the Barbarians at Twickenham in 2014 and was on standby for England’s three Test tour to New Zealand. Who would have thought it after all this time? We have a female Prime Minister, a Labour Party in disarray, a turbulent economy with a negative outlook, and a tough talking leader stomping about the Kremlin keen to throw his weight around ….please tell me I didn’t suffer a blow to the head and it’s actually 1987? To add to the mayhem, we now have the circus that is the US presidential elections looming. Come on America, are you seriously trying to tell the rest of the world that out of a population of some 319 million, Hillary Clinton and Donald J Trump is the best you can do? To use the vernacular, I’d suggest that’s #EPICFAIL. As someone who grew up during the Cold War and as a child, watched the news before going to bed where you were shown how many Soviet ss20 missiles were pointed at you, the thought of Trump in the White House is truly terrifying indeed (perhaps he’ll do us all a favour and just build a wall around himself?). But is it all that bad? Ok, the UK has voted to leave the EU, but nothing has really changed (as I discussed in a previous post, all bets are off until Article 50 is invoked). One a far more positive note, Team GB are doing an incredible job out in Rio and continue to make a great nation proud ….not to mention Eddie Jones and his boys giving the Wallabies a 3-0 series thumping in their own backyard. It seems it’s not a bad time to be British after all. The statistics, however, do seem to be painting a different story. The Bank of England has recently dropped base rates to a record low of 0.25% and re-started the Quantitative Easing program with a £70bn injection of new money – as a result, the pound has deteriorated further and inflation is up to 0.6% with some predicting hitting 3% later next year. The construction industry is now officially in recession for the first time in 4 years with output down 0.7% in the second quarter of 2016 (it was down 0.3% in the first) and has declined 0.9% in June alone. This industry is usually the economic barometer and is traditionally the first into recession and the last out. Not necessarily a surprise to some given that in the grand scope of the economic cycle, a lot of economists believe we were about due another recession anyway. This seems to be further evidenced by an estimated 41% of firms reducing their capital investment. Winding up petitions issues by HM Revenue & Customs actually increased 13% in 2015 and I am sure this trend will continue as the political drive to bring tax evaders to book continues (interestingly enough, many were predicting somewhere in the region of 60,000 APN’s this year which appears to be way off the mark). At James Rosa Associates, we do conduct many negotiated settlements on behalf of our clients and we have noticed a hardening of the stance by most banks which leads us to believe we should soon start seeing an increase in insolvency trends across the board as the banks address their non-performing loan books. Let’s not dwell too much on the negative – you only have to switch on your TV to see a vast array of talking heads predicting financial armageddon. As a child of the 80’s, we did learn one great lesson – the UK is far more resilient than you think and we will continue to adapt to this ever-changing world. As Baldrick once famously said: “hang on, I have a cunning plan…..”.